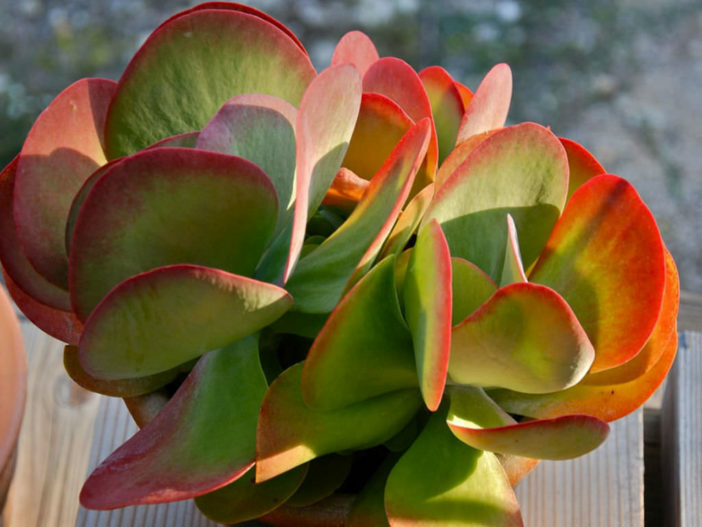 Kalanchoe luciae is a succulent plant up to 2 feet (60 cm) tall with big, thick, flat and rounded leaves. They are arranged in rosettes, up to 6 inches (15 cm) long, up to 4 inches (10 cm) wide and grey-green to yellowish-green in color with red margins. 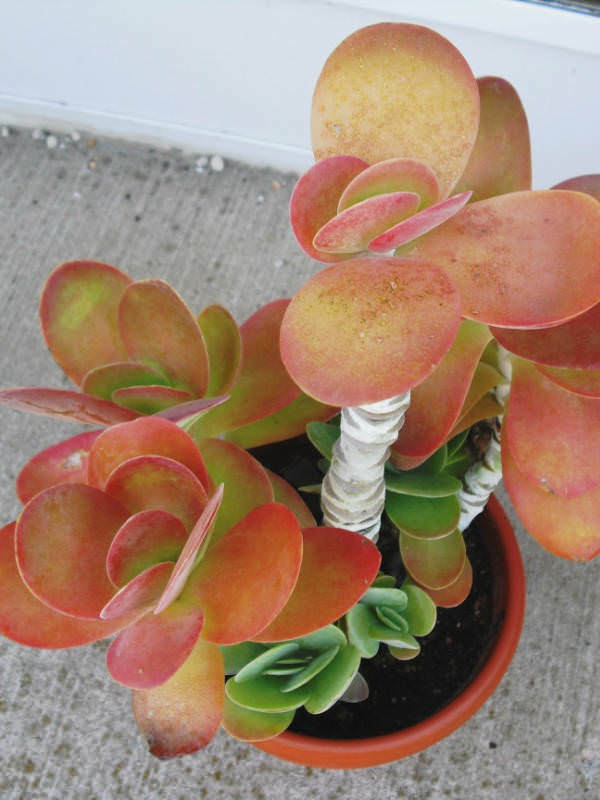 The leaves in some cases will completely turn a vibrant red, especially with cool winter temperatures. Each stem bears clusters of urn-shaped, white, pale greenish-white, sometimes cream, pinkish or yellowish flowers. 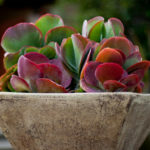 Paddle Plant is not cold hardy, so if you live in a zone that gets colder than 20 °F (-6.7 °C), it is best to plant this succulent in a container that can be brought indoors. It does well in full to partial sun. Plant in well-drained potting soil in an area of your garden that gets 6 hours of sunlight a day. 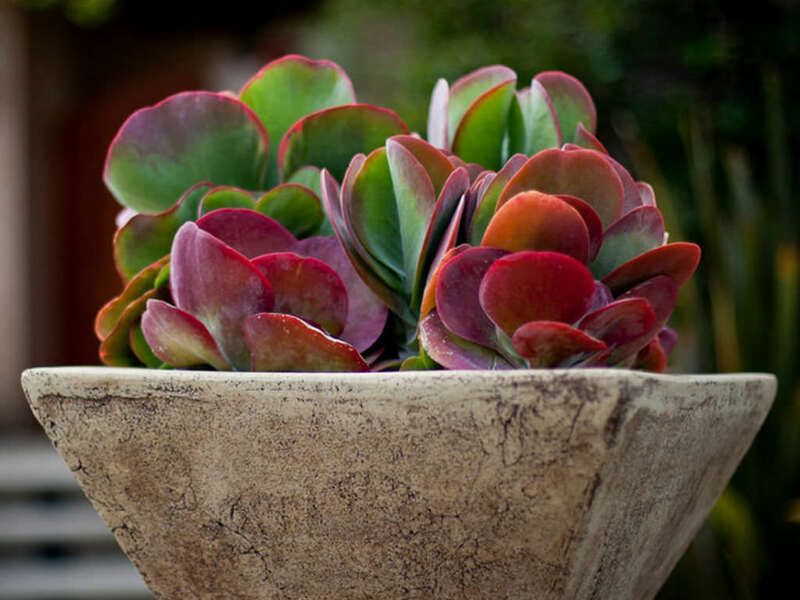 Water regularly, when soil dries about an inch (2.5 cm) down into the pot or ground. 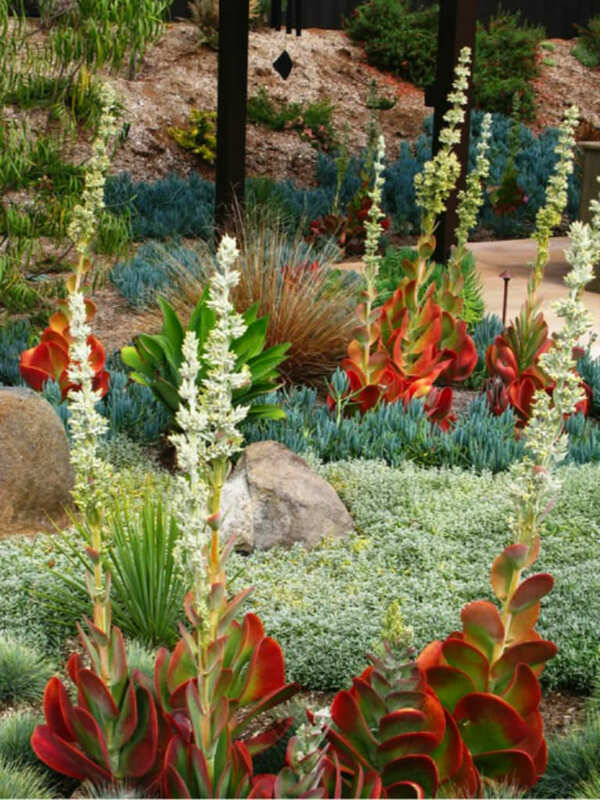 Paddle Plant is very drought tolerant. It is susceptible to overwatering, however, so err on the side of not watering when unsure. 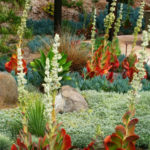 Fertilize Paddle Plant lightly during the growing season. Withhold fertilizer during fall and watering for both indoor and outdoor plants. 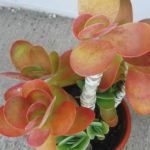 Kalanchoe luciae is native to Mozambique, Zimbabwe, South Africa (KwaZulu-Natal, Transvaal) and Swaziland.